SXSW 2010 has come and gone...but you can still experience the vibes at NPR.org. The most interesting session for me was the concert from Brian Burton, a.k.a. 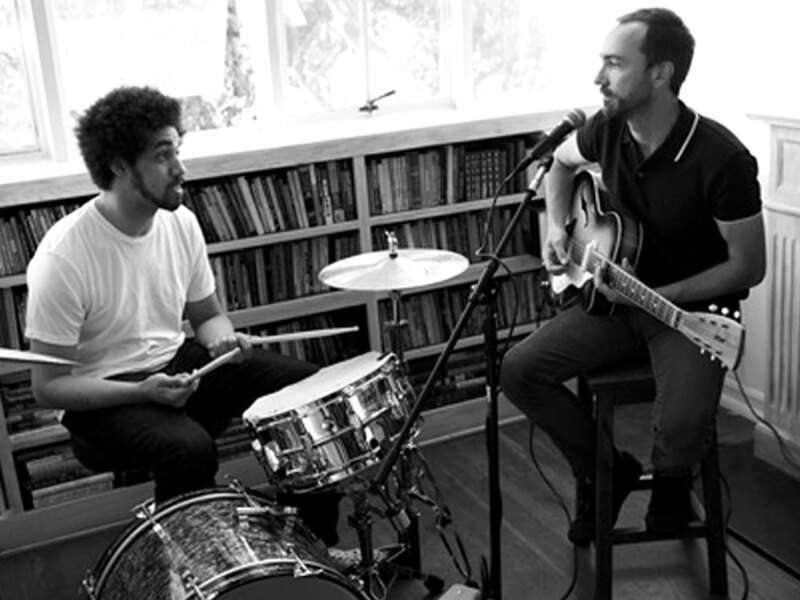 Danger Mouse, and James Mercer of The Shins. Click here for the full session or hear the album as part of NPR's Exclusive First Listen in the player. "The much-anticipated new project (or new band as Rolling Stone reported at the end of September) from super-producer Danger Mouse and The Shins frontman James Mercer has been kept pretty hush-hush for a while. But...the band announced that its upcoming self-titled album is set for release on March 9, 2010. How can fashion create something edgy and meaningful that reflects the state of society today? It's hard, and maybe an futile attempt at forcing two things that were never meant to be together, uh, together! But that doesn't someone's not going to try. Under the banner of VCMP (Visual Countermeasures Project) Hanon Shop in Scotland is retailing the curated items: the Reebok VCMP Stomper, a storm jacket designed by Kenneth Mackenzie and 6876, a t-shirt from COTW and a DVD from director Nino Leitner. All these items are sitched together by author, Henry Porter who wrotes a "foreword" for the collection by describing the disturbing result of today's Britain "vis a vis an erosion of privacy rights and civil liberties...the proliferation of CCTV’s and other ways to monitor the public." "Every Step You Take" Trailer - CCTV in Britain Documentary from Nino Leitner on Vimeo. You have to decide if they're trying too hard with VCMP. In the meantime, I want a pair of those Reebok sneakers! The Reebok stomper was originally produced for director James Cameron's 1986 sci-fi blockbuster Aliens. Worn by the main character Ripley throughout the movie. Not widely available and the purpose of the Stomper has always been a mystery it was the perfect silhouette for the VCMP project. 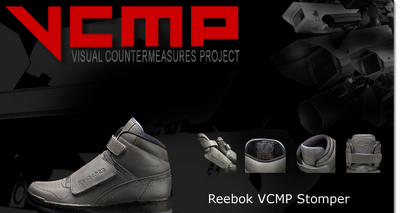 Featuring a full reflective Scotchlite upper, full velcro fasten design and general dark look. • Limited edition 60 pairs worldwide. To Have & To Hold - Taster Tape from Jony Lyle on Vimeo. Retna's latest show at New Image Art in West Hollywood was missing El Mac's unique photo realistic portraits (although the man himself was in attendance.) 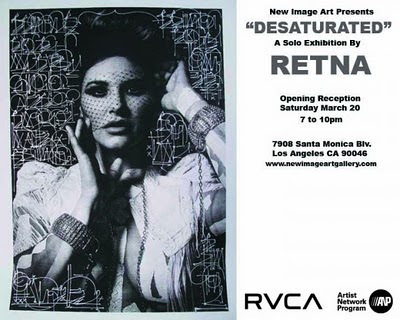 "Desaturated" is Retna's solo show and brings together mainly large, poster-sized black and white prints of Latinas in various states of undress that are repetitively daubed on in Retna's characteristic lettering to create a provocative, yet vintage-looking set of artworks. "One order of Boo-Ya Tribe, L.L.Cool J., one order of Big Daddy Kane and hip hop ya don't stop and and a b-b-brocolli beef...you know Shakur...Tupacs of Shakur....with Flavor Flav...and Too $hort ribs, yea. And a hip hop be bop and a brocolli beef and a bang bang boogie and don't stop the boogie..."
Bobo Meets Rhettmatic from Bobo Meets Rhettmatic on Vimeo. Fat Beats is in my hood. This hip hop staple from New York hosted an in-store performance this month from the percussionist Bobo from Cypress Hill and DJ Rhettmatic from the World Famous Beat Junkies to celebrate the "Bobo Meets Rhettmatic" live performance tour and mixtape. Imagine a dope fusion of your classic hip hop (Planet Rock, The Breaks, Rapper's Delight), breaks (Apache, Good Times, Dance to the Drummer's Beat), disco, soul and funk tunes (I've Got My Mind Made Up, Don't Stop 'Til You Get Enough...) You can download the mixtape here! For more thoughts from Bobo on why and how he put together his "Meeting of the Minds" album in 2008 watch the interview below. Last month Tangent Books in Bristol released a set of eight Bristol graffiti postcards by photographer and artist Frank Drake. "The cards were originally produced in the 1980s in association with the city’s Arnolfini gallery and feature the first graffiti works to appear in Bristol by artists including 3D and the Z Boys." These cards take me back in time...when Virgin Records was still in Broadmead and stocked European vinyl imports and where I found two copies of the original to Peter Piper when Roni and I were out beat-hunting. Grant was still working in Revolver Records/Rough Trade where I bought the "Wild Style" film soundtrack and John was working in Tony's on Park Street. Those were the days! "Set against the background of the St Paul’s riots and the fusion of the city’s funk, punk and reggae factions under the influence of Mark Stewart’s The Pop Group, hip-hop emerged as the counter culture champion. The four strands of hip-hop were breakdancing, DJ-ing, MC-ing and graffiti. Any self-respecting crew needed each element and Drake’s photographs capture the very first public expressions of hip-hop inspired street art." 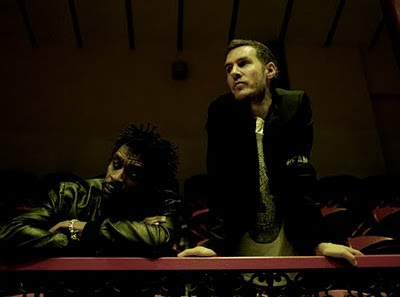 Read about how Massive Attack came into being in this New Yorker article. Sasha Frere-Jones did her homework with only one small error: Willie Wee was an M.C., not a D.J.! For an interview with Massive Attack about the making of Heligoland go to BBC 6Music. Massive Attack are in L.A. at The Wiltern in May. See the tour dates and buy tix here. If you want a sampler check out KCRW's Morning Becomes Eclectic online or Radio 1's Maida Vale Sessions on the player below. Mid-City Arts: Painting "On a Sunday afternoon"
A slew of West Coast (LA, SD) and East Coast (Miami) graffiti writers are congregating at Mid-City Arts this weekend for "On A Sunday Afternoon." Some of the artists were due to paint as early as Friday with a live mural installation by Retna and a closing reception on Sunday March 7 from 2pm-8pm. 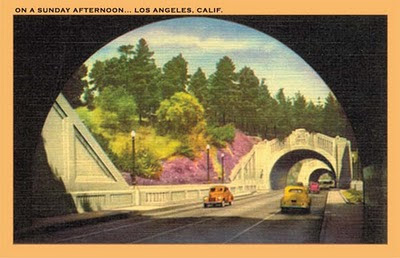 Not sure how those plans will work out since as I write it's raining cats and dogs in LA. If you are down with New York graffiti then you'll know some the TC-5 (The Cool Five) crew members...Claw Money, Doze Green, Kaws, Lady Pink and Mr. Wiggles. 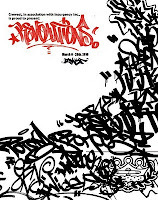 But, there are unsung heroes who slipped by me, so I spent time at Crewest Gallery's pre-show opening for "Revolutions" to speak with "Shirt King" Phade, Keo and Aevon, who schooled me on TC-5. The show runs til March 28th with the opening reception and “Piecebook: Reloaded” book launch (featuring many of the Tc-5 members) on Saturday, March 6th, 2010, 6pm to 9pm. On Saturday, March 20th, 2010, 6pm to 9pm there's a fashion show featuring garms painted by TC-5 as well as live painting on t-shirts and live music by The Milky Way and a special set by DJ Computer Jay. The last chance to see the show will be at the closing reception on Saturday, March 27th, 2010, 6pm to 9pm will feature live painting and surprise guest D.J.s. The Crazy 5 Blade was in the original TC5 (The Crazy 5) from the 70s. Later management was handed to SEEN (TC-5's SEEN is not SEEN from United Artists...who was first is a matter for those in the know!) @149th St. has a brief history. Aevon said that Phade was passed the presidency, but it eventually accepted by SEEN. You may have seen his work under the name TWICE or his other "nom de plumes." I'm not sure when The Crazy 5 converted into The Cool 5, but I do know the Crewest Gallery show has works from some of the pioneers of the New York Graffiti scene. I got myself one of three Doze Green original drawing in wax crayon on paper. Other work are on mixed media: wood, paper, metal and canvas and all pop with the same energy of classic old skool graffiti. 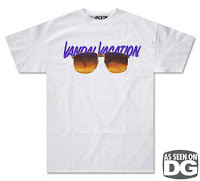 Garms If collecting art ain't your thing, then Crewest has a dope TC-5 limited edition t-shirt for you. As long as you're a size L and above then this shirt has your name on it! Going back...This video copped from TC-5's website was directed and produced by Henry Chalfont of Style Wars fame. Hear the breaks and check the style (Spank's glasses are pure sci-fi!) This documentary really captures the energy and excitement of the time. "Like, a couple of years back it...the whole hip hop culture stuff wasn't organized like it's organized now...now you walk down the street...you see kids breakdancing, like they see it in the movies, you have graffiti in the movies, you got breakdancing in the movies, you got posters in the train about breakdancing, you got albums of rappers...this whole hip hop subculture of the ghettos is about to get big." El Mac, Retna & Kofie: JUSTICE Mural for Manifest Equality- Time lapse: from Augustine Kofie on Vimeo. Hollywood and Vine The huge mural was commissioned by Yosi Sergant as part of "ManifestEquality.com" to raise awareness of civil rights issues of Proposition 8. The timing of the show will ride the Academy Awards media-fest as the "Oscars" roll into town this Sunday and will hopefully attract a few industry-types and celebs to help challenge the Prop. "Los Angeles is one of the epicenters of creativity in the world," Sergant says, "And with the Academy Awards approaching, it seemed like an excellent opportunity to take advantage of the heightened energy and attention and start a conversation of substance." Manifest Equality is a temporary art show running through the weekend exhibiting "hundreds of well-known and emerging names, including street artists Robbie Conal, Swoon and Shepard Fairey, and illustrative painters Barry McGee, Gary Baseman and Elizabeth McGrath ." Even L.A. Mayor Villaraigosa got involved as he helped choose five artworks from over 1,000 entries to the Manifest Equality art contest. 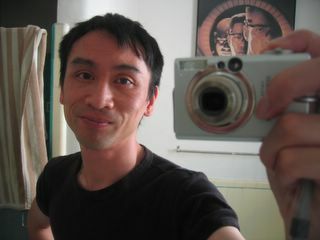 Sergant is best remembered for his work in creating the grassroots "Manifest Hope" art shows and involvement in the "Hope" poster images done by Shepard Fairey. Sometimes you see a t-shirt slogan that could last more than a few washes before it gets played out! Catcha on the flip side The reverse of the t-shirt has the words "Very Remorseful." 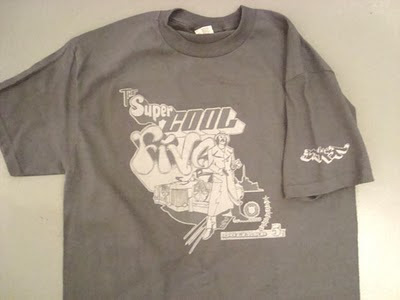 A classic t-shirt inspired by a soon-to-be legendary urban story! As someone's grandma has said: "Use those smartphones wisely and don't tweet in real-time unless you wanna be on TV and have a t-shirt dedicated to you!" ***VANDAL VACATION*** from WWW.REVOK1.COM on Vimeo. The story has been told before...Romeo and Juliet, West Side Story...But, with Whole Ttrain there's a difference. This rivalry is between two graffiti crews - KSB (Keep Steel Burning) - and ATL (Above The Law) and their battle for supremacy in their town of Munich, Germany. Munich, USA It might seem ironic to see such an American (aka New York) tale of graffiti wars cloned by Germans and accompanied by English subtitles in Los Angeles. But, remember when breaking and hip hop fell off in the States in the '80 and '90s it lived on in Europe and beyond. Germany is still the home of the world's largest breakdance championship better known as "Battle of the Year" (so well documented in the 2007 film, "Planet B-Boy.") And Zeb Roc Ski (aka Akim Walta,) the hip hop historian and recording artist, wrote the indispensable photo book "Hip Hop Files" which is illustrated by Martha Cooper! The Whole Train LA premiere played to a full house at the Goethe-Institut, a cultural center for anything German. It was like a little underground scene with old skool heads like Asia One (B-Boy Summit, No Easy Props) and Yem in da house. As was director, Florian Gaag who shared some of the details on how he made the film so realistic. Some writers in the audience asked how come the bombing scenes were so realistic. The answer was that some scenes were actual covert trips to the train yards! Other scenes were shot in Poland where Florian was introduced to a friendly train company willing to allow him to shoot in their yards. A crazy story only Florian can do justice to. 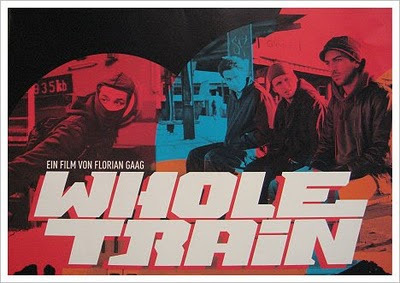 Go get the DVD of Whole Train - all the actors are intense. Instead of casting graffiti writers who could act (they couldn't, ;) ) Florian ended up choosing actors who could paint to play the four stars of the film – David, Tino, Elyas and Achim. Look closely and you'll spot the work of international graffiti artists NEON, WON, CEMNOZ, PURE and CIEL who were responsible for the artwork in the film. This summer Florian Gaag released the soundtrack CD produced by himself (aka AERO ONE.) This guy is one all-round b-boy! The CD features hip hop names like KRS-One! O.C., Planet Asia, Afu-Ra, Grand Agent, Tame One, Akrobatik, REEF the Lost Cauze, Roger Rekless and El Da Sensei. Berlin International Film Festival - Special Mention "Dialogue En Perspective"
Prenominations for the German Fim Awards in six categories: Best Film, Best Editing, Best Set Design, Best Score, Best Sound Design, Best Costume. Nas at the BMI's "How I Wrote That Song"
A bit slim on real revelations. Nas says "you get to go behind the scenes, get behind his mind and see what's going on and what makes him tick..." But the video doesn't deliver. Still interesting. Nas On How I Wrote That Song from The Drop NYC on Vimeo.